8. 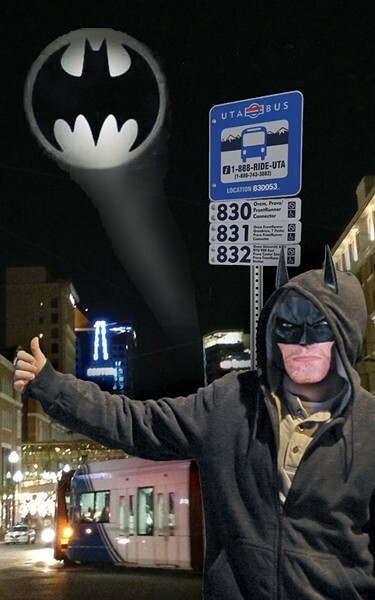 Bad things happen after 11 p.m.—you should be thanking the Utah Transit Authority. 7. Funds have been allocated to making sure all documents use uppercase TRAX, even though T, R, A and X stand for nothing. 6. Why are you out so late? Are you Batman? Then shut up. 5. No one rides Trax or the bus after midnight, so obviously there's no demand. Duh. 4. There's an app to call one of those mustache cars after you're done drinking and whoring for the night—use it. 3. UTA team-building exercises aren't cheap: The nearest Dave & Buster's is in Denver. 2. You say you work late hours? Maybe you should look into becoming a daytime drug dealer. 1. UTA CEOs require large salaries to buy luxury cars to avoid riding the bus with the likes of you.